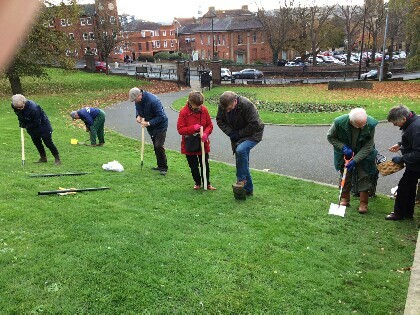 Rotarians and friends planted a number of crocus bulbs on the bank outside the Usher Gallery Lincoln. When they emerge next spring it will advertise the amazing work that Rotary has undertaken to eliminate polio worldwide as part of the "End Polio Now"campaign. Rotarians and friends undertaking the planting. 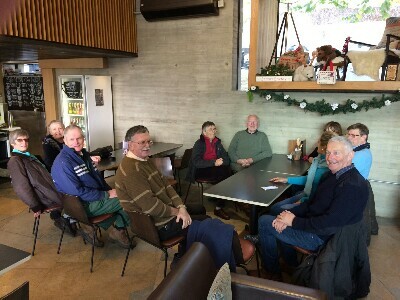 Retiring for a well earned coffee.